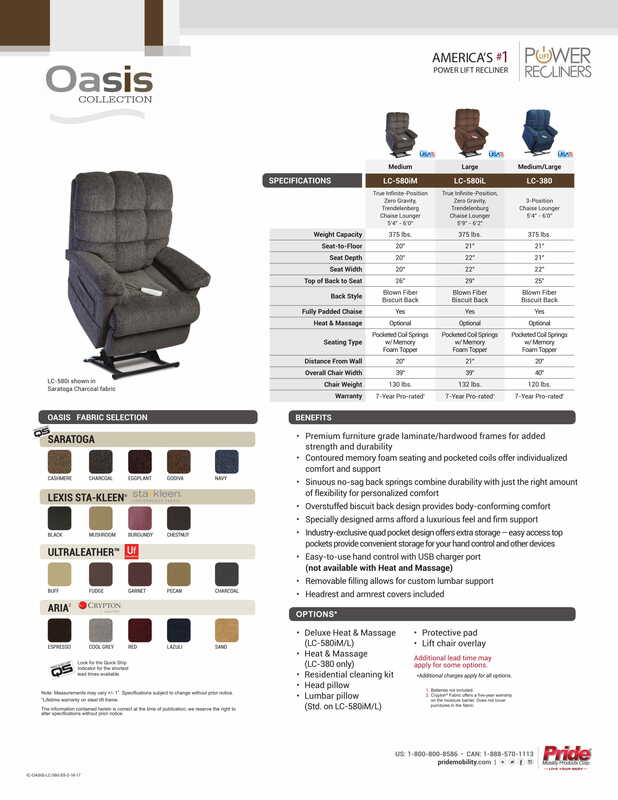 Pride Mobility Luxury Recliners are designed to be the ultimate in Lift Chair comfort, style and performance. Available in several beautiful fabrics and styles to fit any décor, Pride Luxury Recliners also feature a new 4-year limited warranty, head and arm covers, and Scotchgard fabric protection. Using a state-of-the-art lift system, these chairs recline further than any other model on the market, providing total comfort and relaxation. TheOasis, in particular, is a durable option, and is capable of supporting up to 375 lbs.! Pride Lift Chairs are also equipped standard with an emergency battery back-up system, ensuring that you can rise safely from any position, should the power fail in your home. 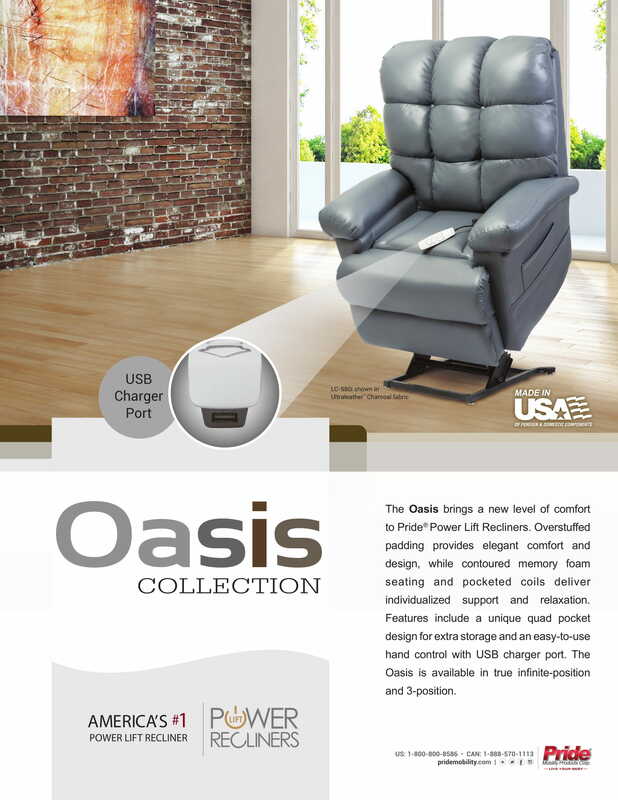 Why Pride: Oasis - Elegance Collection Lift Chair? The Pride: Oasis - Elegance Collection Lift Chair is designed to be the ultimate in Lift Chair comfort, style and performance. Available in several beautiful fabrics and styles to fit any décor, Pride Luxury Recliners also feature a new 4-year limited warranty, head and arm covers and Scotchguard fabric protection. Using a state of the art lift system, these chairs recline further than any other model on the market, providing total comfort and relaxation. The Oasis, in particular, is a durable option and is capable of supporting up to 375 lbs. !